Are you going away for the weekend or a long trip overseas and not sure what to do with your fur-kid? Or maybe you work a 9-5 and need someone to check in on your fur kid and perhaps take them for a walk. Only the best will be able to look after your precious angel but who can you ask, who is available and most importantly, who can you trust? Many of us are in this predicament very often and struggle to find someone who is perfect for this job. Our pets have their intricacies that need special attention and it’s hard to find someone who knows how to give this extra bit of special care. Well, we’ve found a service that could be the answer to all these problems! 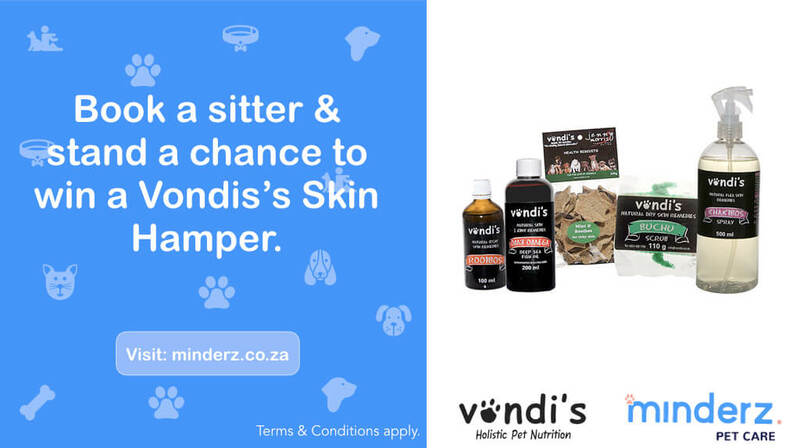 Minderz, the first pet-centric platform in South Africa that allows pet lovers to gather in one community and offer a variety of pet services to pet owners such as dog walking, pet sitting, pet boarding, and drop-in visits. For urban professionals and pet parents, Minderz is a reliable and easy to use online platform that connects pet parents to experienced, available and vetted pet lovers. After receiving an encouraging number of sitters signing up in Cape Town and Johannesburg, the team decided to focus on building a platform that would connect pet owners with all the services that they would need for the entire health and wellness of their pets. With a database of over 400 vetted sitters in Cape Town and Johannesburg, it proves to be a trusted way of finding someone to look after your fur-kid. •	Pet sitting: A sitter stays overnight at your home an looks after your pet(s). •	Pet Boarding: Your pet stays over at a sitter’s home. •	Pop in visits: A sitter checks in on your pet(s) during the day. •	Dog walking: Your dog(s) get a walk from a dog walker. The sitters on their database have tons of experience with pets and not only can care for them well but have a true passion for animals and love their jobs! They have all had background checks and vetted by the Minderz team. Sound good? Well all you have to do is pop on over to their site, www.minderz.co.za and send an enquiry with your pet care needs. They will then match you with the most suitable sitter who you will be able to meet beforehand. Your pet care needs sorted! We are very excited about Minderz and the great service they are offering! We have teamed up with them recently and for a limited time only, if you book a pet sitting, you stand the chance to win a jam-packed pet skincare hamper from us! Book a sitter today and know that your fur-kid will be well looked after!